Receiving an HEIC photo taken with an iOS 11 iPhone from a friend but the Android simply refuse to open HEIC anyway? Is that is true to you, the only solution to open HEIC photos on Android phone (Samsung, Huawei, LG, etc) would be to convert HEIC to JPG on iPhone. What's the best tool to convert HEIC to JPG in that regard, here this guide is going to help you out by introducing the best tool to convert HEIC to JPG in Android 2019. 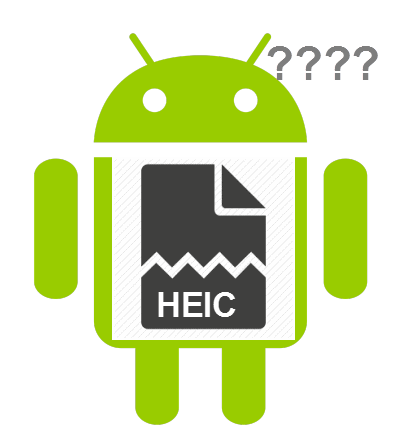 Why Won't HEIC Open on My Android Phone? HEIC HEIF, or High Efficiency Image Format, is a standard proposed by Motion Pictures Joint Group in 2015 that aims to wrap up image files of high quality into a smaller built. By far and by large, only iPhone X/8 Plus/8/7 Plus/7 powered with iOS 11 can take HEIC photos, pictures in HEIC format, and the picture-taking device as well as Mac computers powered with macOS High Sierra can open HEIC pictures without hassle. HEIC photos won't open on Android because of a lack of container decoder. That been said, if you need to open HEIC on Android, however, the easiest way would be converting HEIC to JPG. Indeed you may resort help from 3rd-party HEIC viewers Android, a web-based HEIC to JPG converter Android is equitably useful if you don't need to convert the pictures very often. What Picture Format Are Supported in Android? Considering the massive popularity of Android and iOS devices, the increase of HEIC HEIF format pictures in amount is for sure. Here's a swift and practical iPhone Manager software you could recommend to friends or family with iOS devices: Not only to convert HEIC to JPG, but also 2-way transfer pictures, music & other types of iPhone data between iPhone and computer/Mac. All-in-one solution to manage iPhone data. How to Convert HEIC to JPG Android? Here's how you can make use of such kind of 3rd-part HEIC to JPG conversion websites. Step 1: Visit a web-based HEIC to JPG conversion website, find out the limits of HEIC photo uploading, usually a website allows for up to 50 HEIC photos to be uploaded at one time. Having problems with HEIC not uploading? -> Find out the solutions. Step 2: Before you actually convert HEIC to JPG Android, make sure you check the security announcement – usually on the FAQs' part – Does this HEIC to JPG conversion website keep HEIC photos online? If the answer is negative, you may rest assured to use the website & convert HEIC to JPG Android frankly. 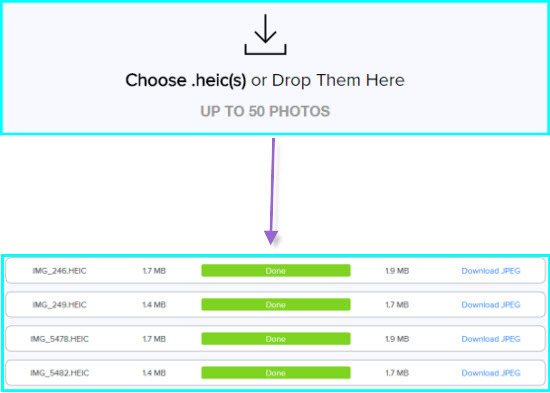 Step 3: With the conversion website open in browser, click on "Upload" to choose HEIC HEIF photos pictures from your Android phone, then confirm upload. Step 4: Wait for the conversion to complete before you click on "Download JPG" to instantly get the pictures soundly downloaded to your smart phone. 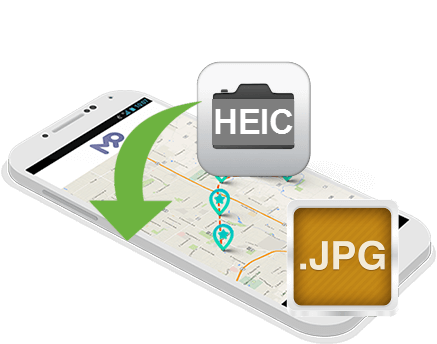 This method can help you convert HEIC to JPG JPEG on Android without downloading any thired-party tools, and is extremely fast without hassle. You only need to be careful in choosing a trustworthy HEIC to JPG conversion website. How to open HEIC file on Windows 10/8/7? This page collects the 3 easiest & smartest ways to open HEIC on Windows and view an *.heic file as it is, now read on to find out. iOS 11 iPhone HEIC photos won't open on Mac problem has been well solved here where DearMob iPhone Manager, HEIC viewer and HEIC converter are prepared to open HEIC photos on Mac without hassle. Get DearMob iPhone Manager to 1-click backup HEIC photos from iPhone to Windows 10 PC in a flash speed to save your iPhone HEIC photos in a safe place.